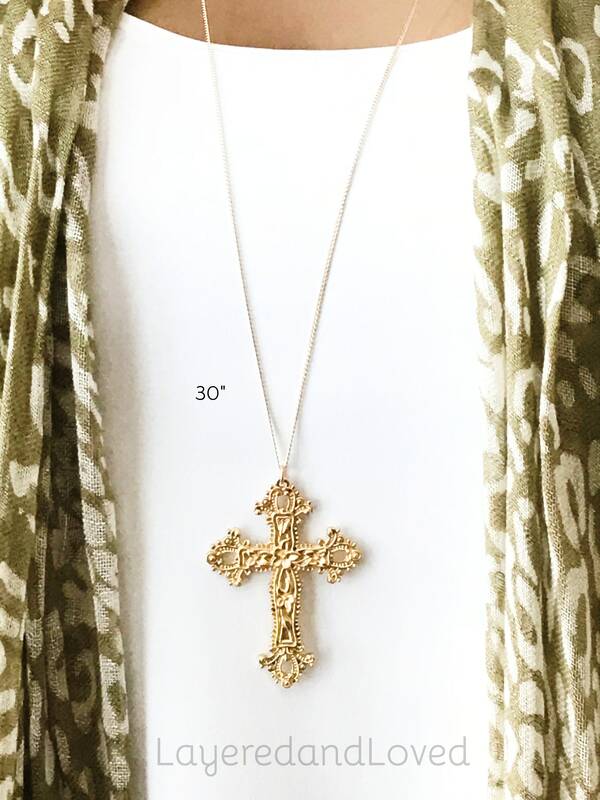 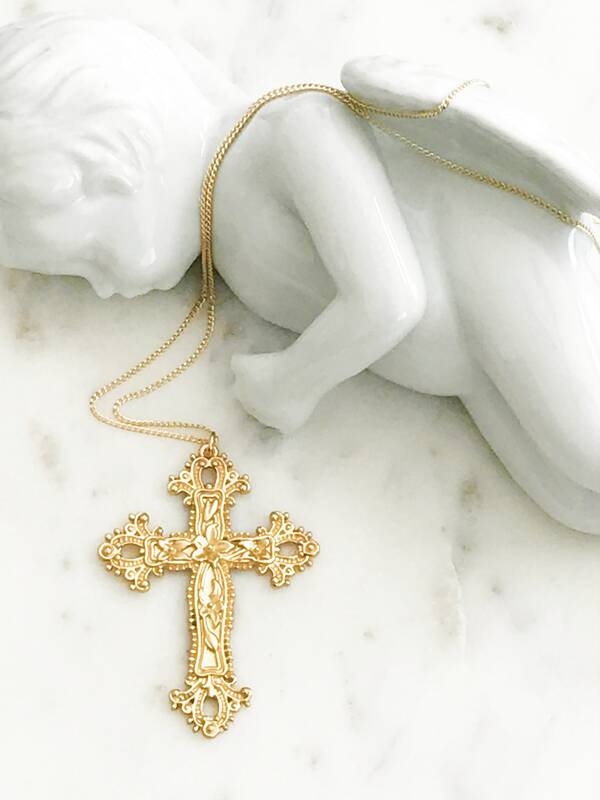 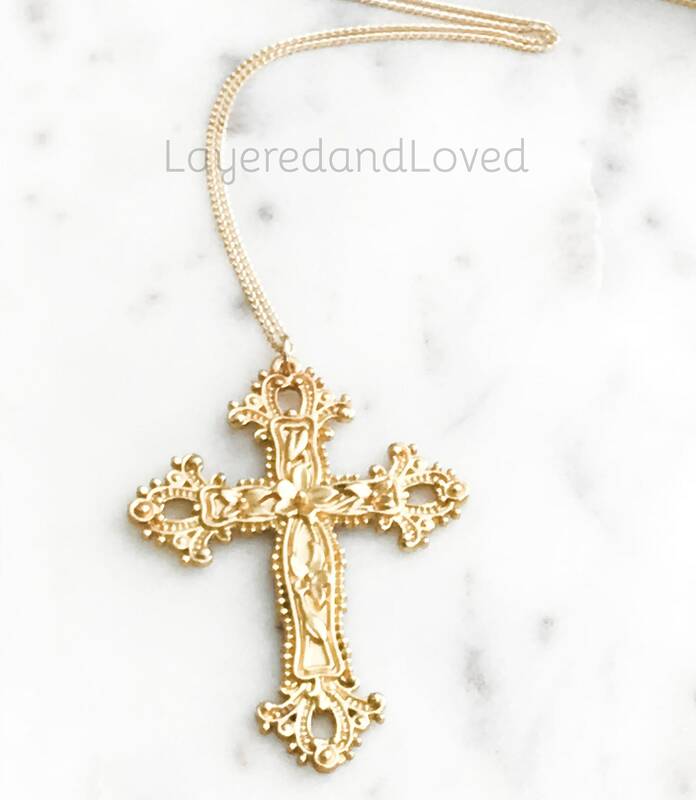 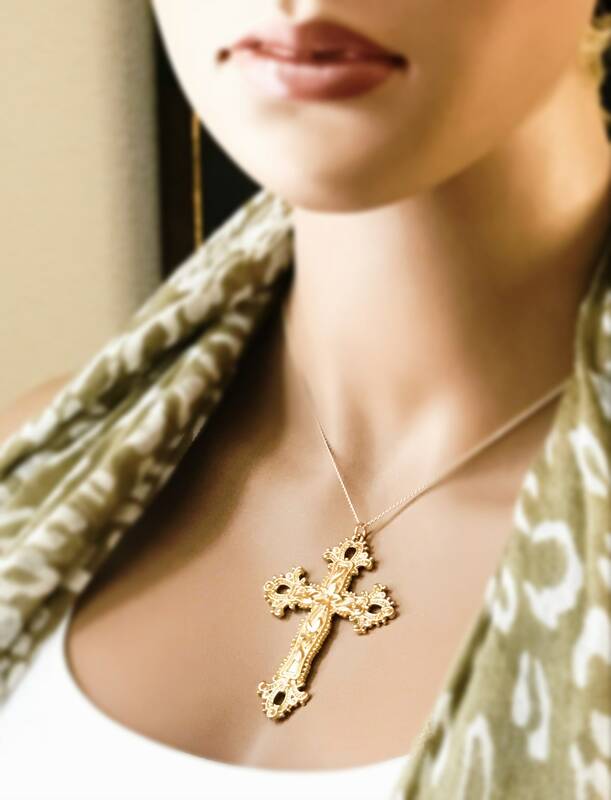 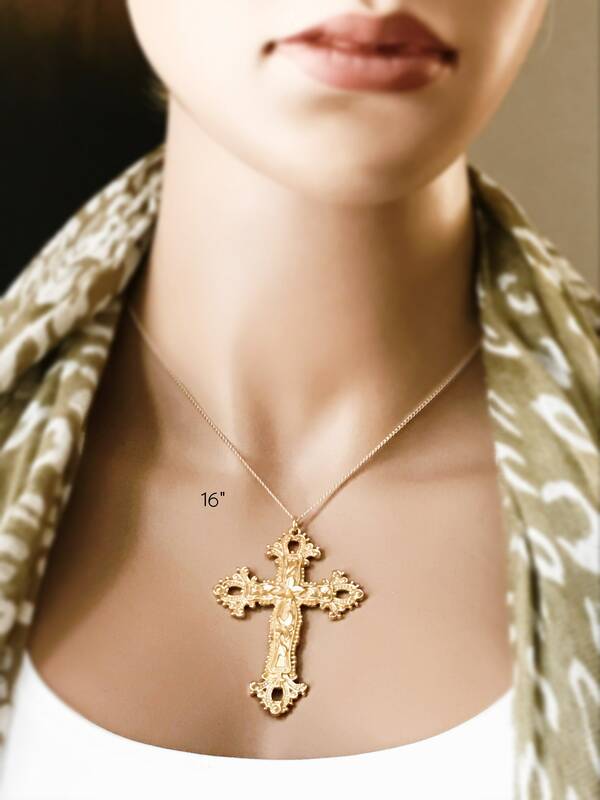 ~ Gold Plated Ornate Cross 1.75" x 2.5"
~ Big and gorgeous gold ornate cross suspended on a beautiful sturdy 14k gold filled curb chain. 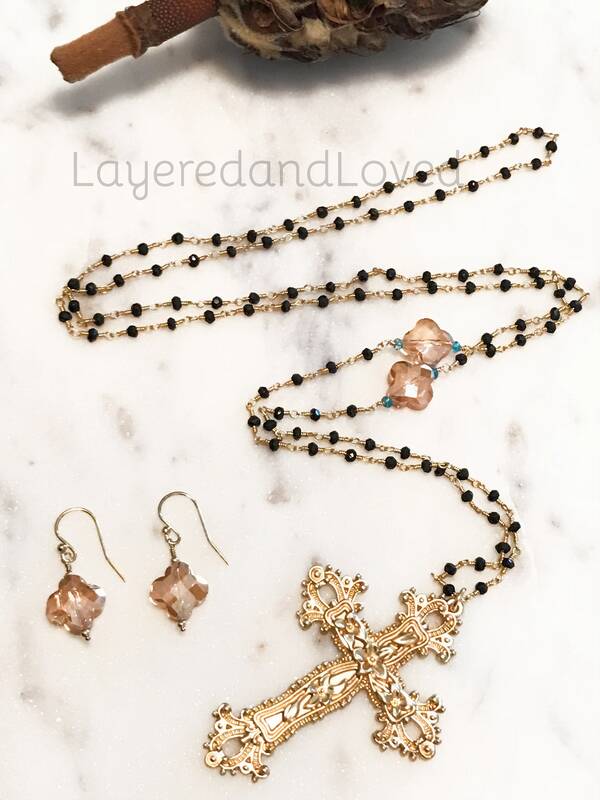 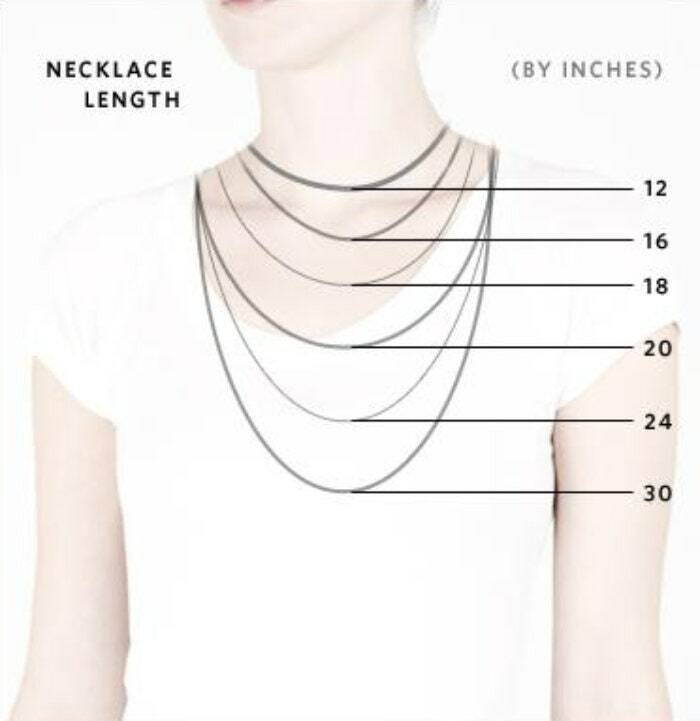 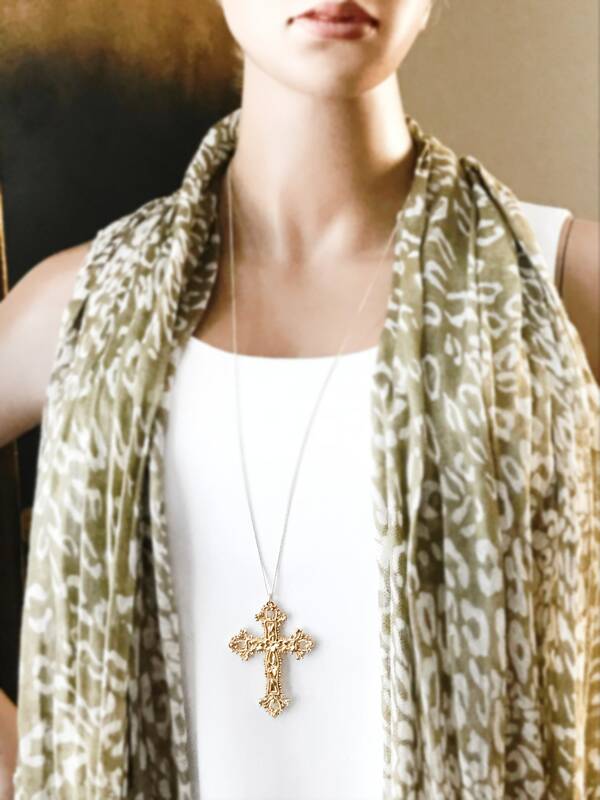 From choker length to a long opera length, this necklace is a statement on it's own or layered with other necklaces. 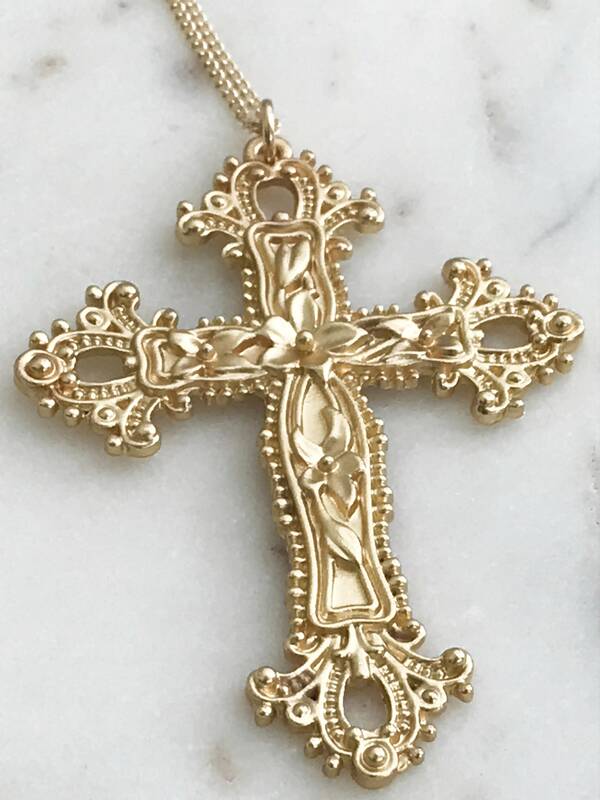 The clasp is connected with white sapphires on gold wire.